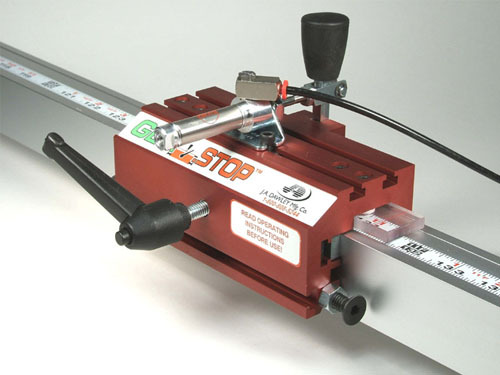 The Pneumatic Package is a simple add-on to the GlideStop. The operator simply presses a foot pedal to disengage the contact arm, enabling movement of the work piece. This is an excellent accessory for: Spaced dadoes, Spaced holes, and Boring machines. When used in conjunction with the Interchangeable Fence Package, tedious and time consuming manufacturing can become simple and profitable.